Looking for Guitar Lessons in Preston? Rob's guitar tuition is suitable for complete beginners to experienced guitarists looking to learn new techniques on acoustic, electric and bass guitar. With students of all ages, from children to adults, Rob will teach you all the things you ever wanted to learn on guitar in the comfort of your own home. 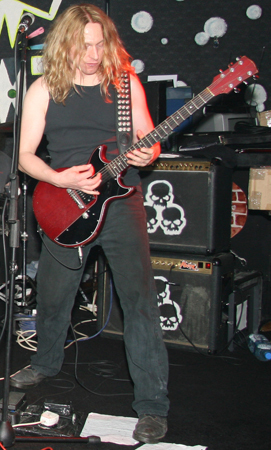 Rob is fully CRB/DBS checked and will teach you how to play the guitar at a speed that suits you! All guitar lessons are tailored to suit you - the individual. You choose the songs, Rob will teach you to play them. The lessons don't stop there. Learn shredding, harmonic sqeals, sweep picking, lead guitar technique and improvisation and much more. Whatever the style of music, be it pop, punk, rock, metal, jazz, blues or country and western, Rob can teach you the songs and techniques you've always wanted to play. Kickstart your guitar journey by calling or txting Rob on 07946 324 803 or email info@prestonguitarlessons.co.uk for more details.